More than 8.3 billion tons of plastic have been produced since 1950. It weighs the equivalent of 80 million whales, 1 million elephants, or 822,000 Eiffel towers. Unfortunately, only 9% of that amount has been recycled and the rest is still scattered in landfills and even in the sea. Please note, the average time that a plastic bag is being used is 12 minutes, while in fact, it takes 1000 years to decompose. From several studies show that Indonesia is the second largest contributor to plastic waste after China. According to the journal Nature Communication, Indonesia is estimated to contribute more than 200,000 tons of plastic waste mainly from Java and Sumatra. Many rivers in the urban areas are full of garbage and cause flooding during the rainy season. In fact, four rivers in Indonesia are included in the 20 dirtiest rivers in the world. Many people don’t realize that we already consume micro-plastic on a daily basis. Plastic polluted rivers supply watering for plantations, which then provide food to the nearby cities, or, the micro-plastics are simply consumed by animals that become daily food base such as fish and chicken in Indonesia. 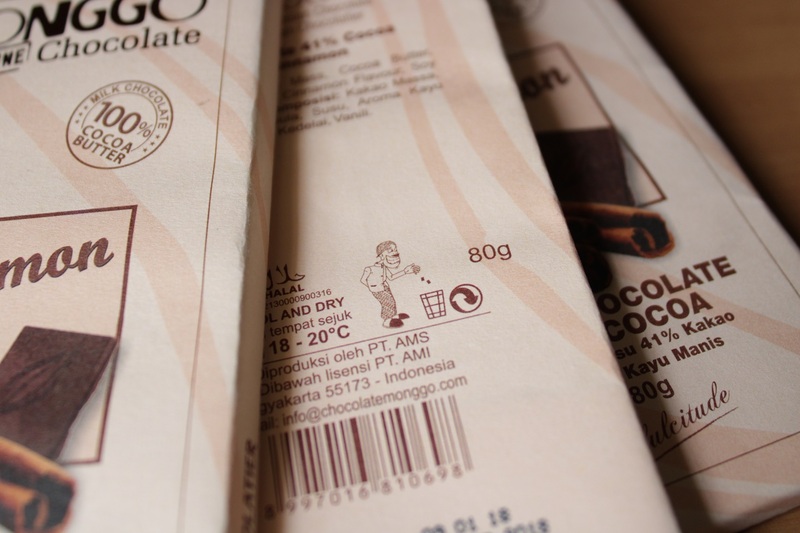 At Monggo, we’re not only enthusiastic about making chocolate. We love sweet food as much as we care about environmental sustainability. And ever since, we were especially worried about plastic waste. All our retail products do not use plastic packaging, but are protected by aluminium foil, which degrades faster than plastic, and wrapped into a paper packaging made of FSC (Forest Stewardship Council) certified paper. However, we also feel responsible that our packaging is disposed correctly. We like to remind our consumers about it and therefore, print a Javanese man, who correctly disposes his trash, on each of our products. Besides, we have always given paper bags for our customers to carry their purchase. The paper bag that we provide is less harmful to the environment than the plastic bag and can be reused as well. We also serve our drinks with paper straws, paper cups, paper box for takeaway snacks. To learn more about all our efforts to reduce plastic, follow us on Instagram or visit us at our production in Yogyakarta to learn more. 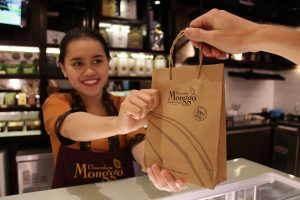 Chocolate Monggo creates seasonal products for special occasions, especially those where people like to share with their loved ones. 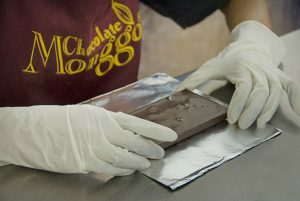 Soon Easter is coming up, for which we created several chocolate products to celebrate. Over the years the “egg-hunt” has become a popular European tradition to celebrate Easter, especially for children. Usually decorated eggs are hidden by the parents for the children to find. Today, easter bunny and eggs made of chocolate became important for the celebration of Easter. At Monggo’s showrooms those chocolate eggs and chocolate bunnies can be found in different sizes, either with a filling or hollow. 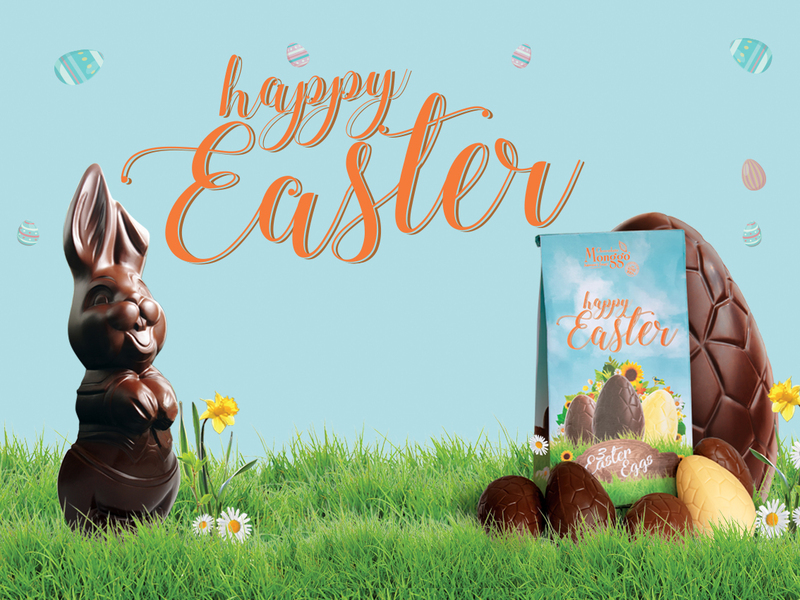 This Giant Easter Egg is entirely made of Dark Chocolate with 58% of Cocoa and guarantees to delight its happy finder.